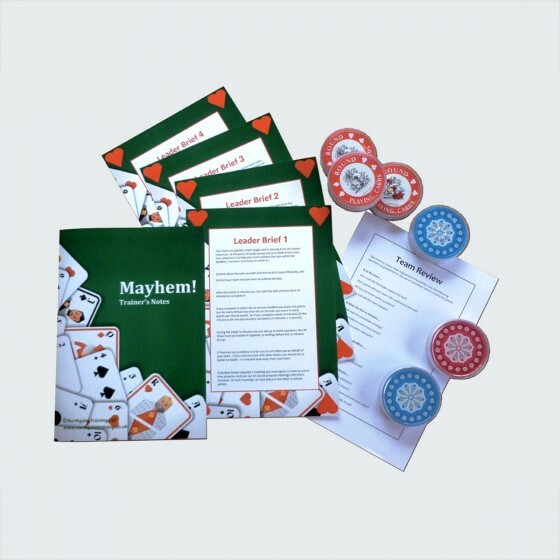 Inspire your team to gain top score. 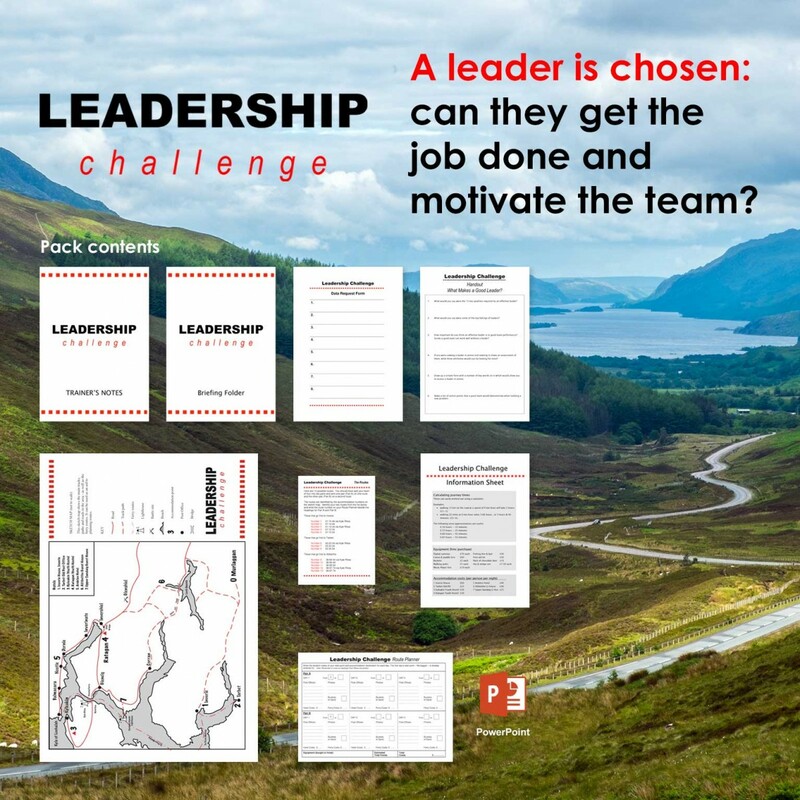 Exciting challenge where teams define leadership and put their chosen leaders to the test. 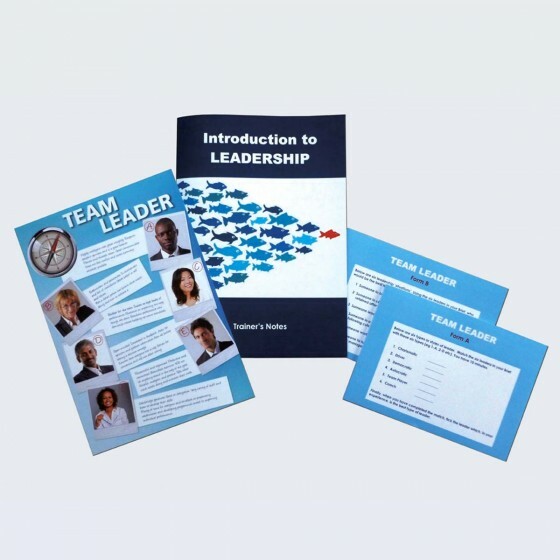 In this table-top simulation each team first chooses a leader. Each leader is given a £500 budget, a map and 10 minutes to familiarise themselves with the Brief. During this period the rest of the team completes a questionnaire about leadership qualities – for discussion later. Essentially teams must collect as many points as possible by visiting places on a map. Leaders, with their own chosen style of leadership, brief their teams and oversee the activity. Information on costs such as ferry timetables, time and distance and overnight accommodation are available on request – but information costs money – and eats into a tight budget! After the alloted time, stop the activity and check teams' chosen routes. Finally, issue Routes Cards for teams to check their routes themselves - and announce the winning team. Lead a Debrief supported by the Trainer’s Notes and PowerPoint presentation. 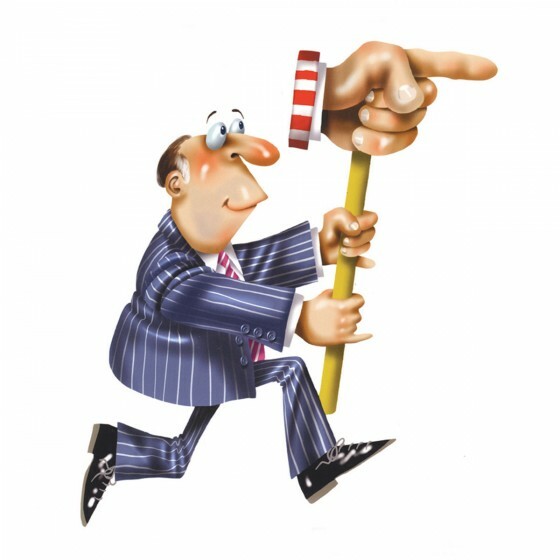 Handout: What Makes a Good Leader? 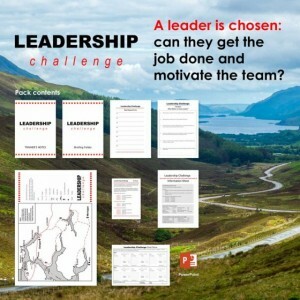 We used 'Leadership Challenge' as part of a leadership development programme with senior managers at a County Council. It is an excellent exercise for enabling managers to put learning into practice, whether they are the leader or a team member. A great discussion about leadership effectiveness takes place after the exercise has finished . Used as part of a 'Performance MOT' course with junior/middle managers, 'Leadership Challenge' highlighted the role of a leader in a complex task. The activity was different, challenging and fun. An excellent activity for our client group of law firm partners. After a day of leadership theory, the 'Leadership Challenge' game brought home the crucial points and added energy and fun to our awayday. 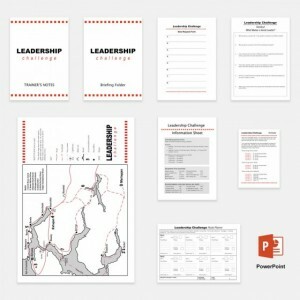 I ran the Leadership Challenge activity: great fun, great learnings. And of course, working with intelligent people, some of the participants tried all kinds of new out-of-the-box solutions that were not mentioned in the game in order to win! Overall, it is a great game that can be played with all kinds of audiences (because the diversity of the groups, and the cultural and linguistic challenges that brought with it, I added a bit of preparation time), and with all kinds of goals in mind… Looking forward to running it again! Thank you very much! 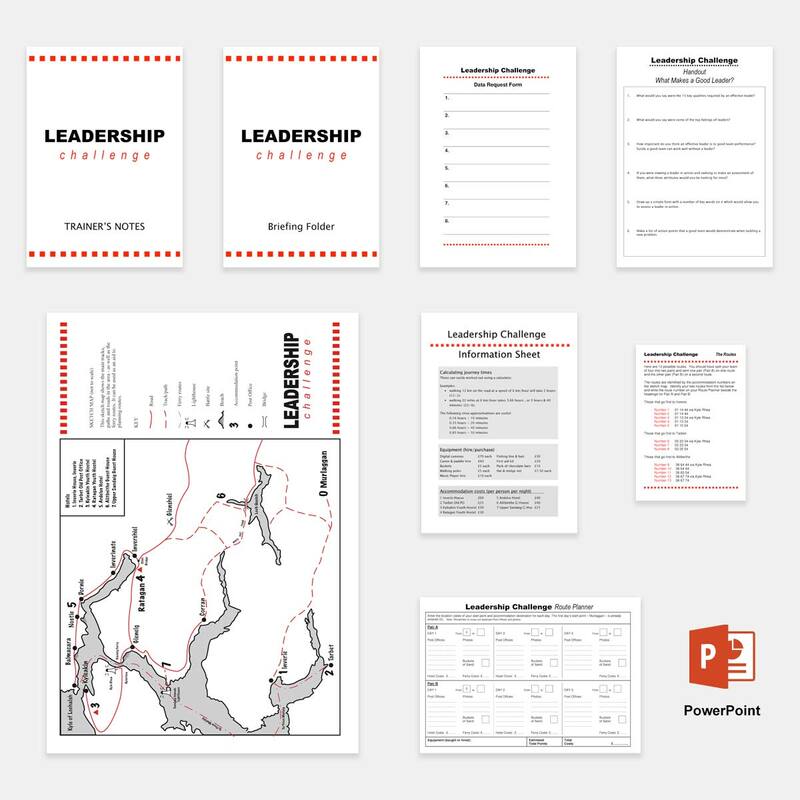 Compare and evaluate four very different styles of leadership with this fun team task. 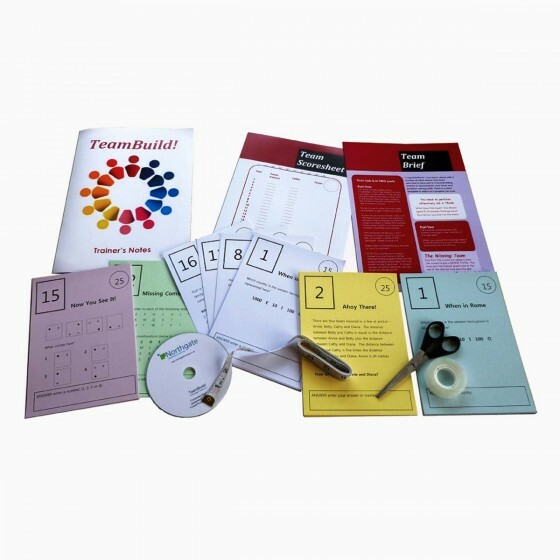 Quickly gets groups interacting and exploring some basic ideas about leadership, leadership traits and situational leadership. Ideal starter activity which identifies those with leadership potential and those who understand the benefits of cooperative working. Great fun! Highly revealing!